Could your lipstick contain lead? Yes, it’s scary but true! That’s why I’m so passionate about finding the best lead free lipsticks! That gorgeous shade you put on your lips could contain lead, which is a neurotoxin, in small doses. It does not matter if it’s a cheap drugstore brand or a high-end beauty brand, approximately 61% of lipsticks contain lead, according to the Campaign for Safe Cosmetics. You don’t want to kiss your loved ones with a poisoned pucker. Or wear a cosmetic with a nasty ingredient all day long. How Much Lead is in Lipstick? To be clear, the amount of lead in lipstick is pretty minimal compared to lead exposure from old paint in the home or in drinking water. But still, lead is a harmful substance in the body. You don’t want to add any more into your body than necessary. A Poison Kiss, a report from the Campaign for Safe Cosmetics, tested 33 popular brands of lipstick and found the shocking number of popular brands, such as L’Oreal and Cover Girl, which contained lead. A couple years later, the FDA was finally pressured into looking into it on their own. What the FDA found was even higher levels of lead (up to 7.19 parts per million) in even more samples of lipstick – 400 samples! Five of the top ten most contaminated samples bought in 2010 were manufactured from L’Oreal. 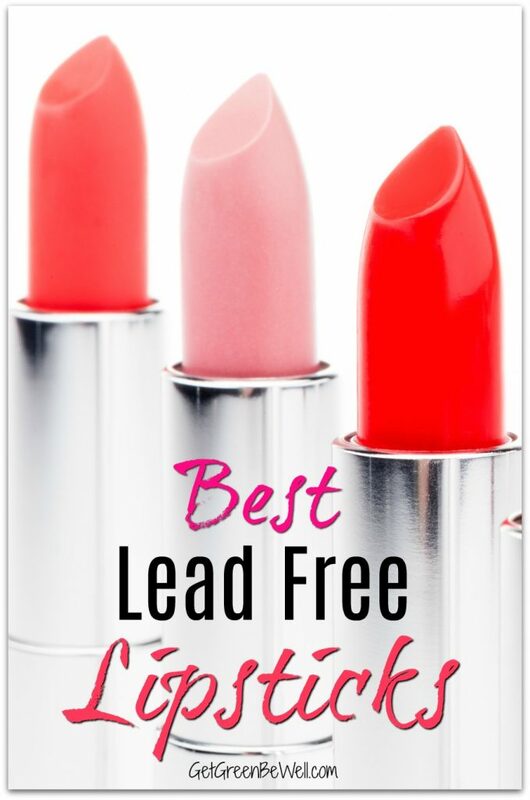 Why Is Lead in Lipstick? The FDA has not set limits for lead in cosmetics. They insist that the levels are too low to matter to your health. I have long ago given up faith that the FDA protects the American public without any corporate influence, though, so their reasoning means nothing to me. 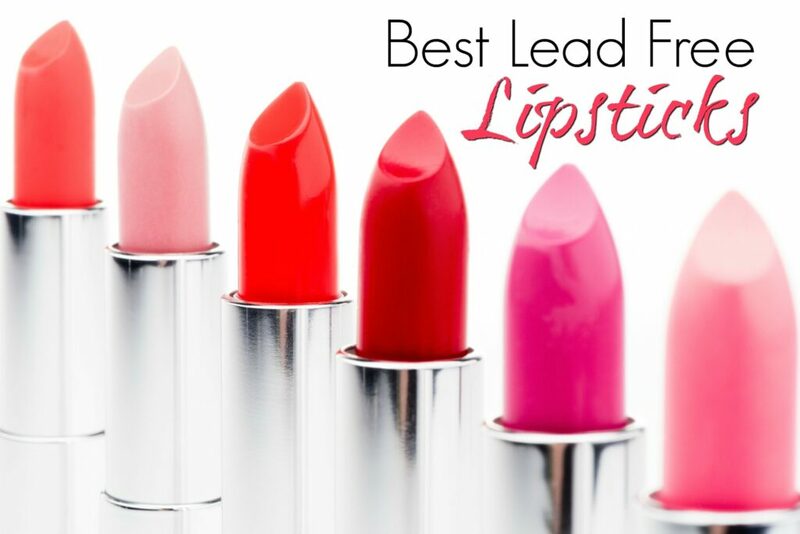 So, when it comes to purchasing a lead free lipsticks, what should you buy? As always, the answer isn’t totally clear, since no one is listing lead as an ingredient on their packaging. I thought it would be an easy answer to ask “Do you have lead in your lipstick?” and have companies respond yes or no. Trust me, it’s not that easy sometimes. Many companies said without doubt that their lipsticks do not contain lead. 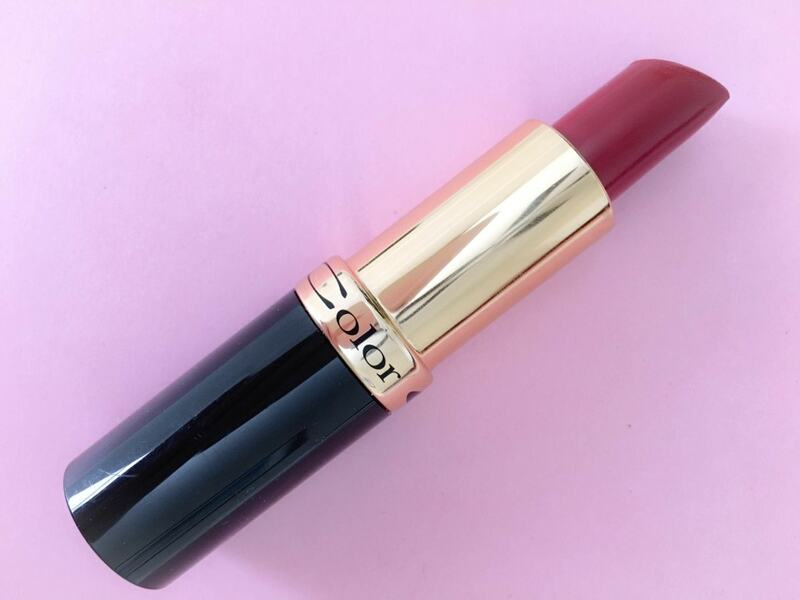 For instance, Afterglow Cosmetics explained to me that their lipstick colors are sourced from iron oxides that are sourced from a controlled oxidation process, which ensures that there is no lead contamination. Perhaps that’s why when I asked other companies, such as Vapour and BeautyCounter, about possible lead contamination, they did not say unequivocally that they were lead-free, because they both stated that since lead occurs in so many ways in nature already, it’s hard to claim that the products are completely lead-free. With their level of transparency about their ingredients, I can see where they’re coming from in. Some people believe that having “trace amounts” of lead – amounts so low as to be thought negligible – translates to lead free. I’m not saying that any of these companies are using that theory. 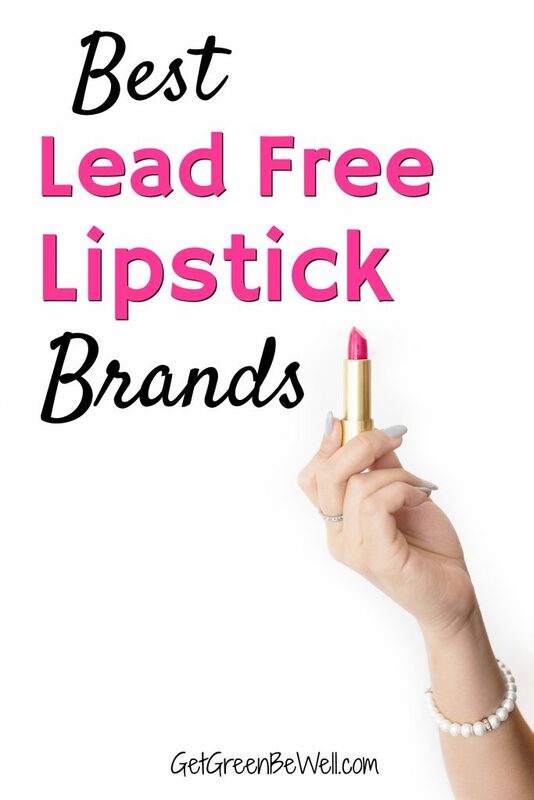 What I do know is that trying to find lead free lipsticks – and then navigating the confusing world of science, data, medical reports and beauty – is way more than the average woman should have to deal with on a daily basis just to feel and look her best. What I believe my readers want to know when they ask “What lipsticks are lead free?” is: What lipsticks are completely lead free – as well as meaning – Contain almost no amounts of traceable lead – or you might also be asking – Which brands are just way, way better than the lipsticks found to be containing lots of lead? Y’all are busy women who just want to know what brands that you can safely buy, and then be on with your day and enjoying a sunset or cooking your family dinner, right? It’s the generality of a healthier lipstick that you’re asking about, not the measurement of one part of lead per million, right? Gabriel Cosmetics Lipsticks These have been my favorite lead free lipsticks for nearly a decade. 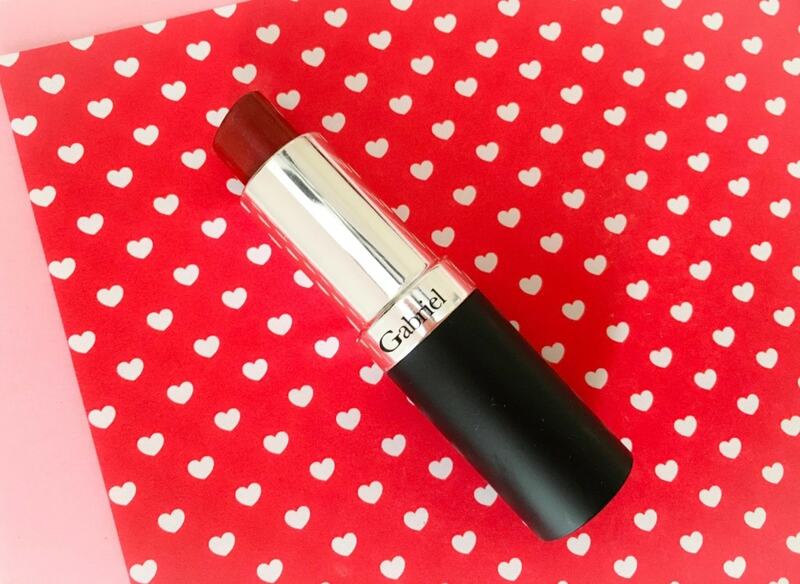 I’ve got a signature shade – and it’s Gabriel Cosmetics’ Maple Shimmer. I love this brand! It’s easy to find, too (order online at Target or Amazon). Chances are, if you’ve watched many of my You Tube videos, I’m wearing lead-free Maple Shimmer lipstick. ZuZu Luxe This brand is a part of Gabriel Cosmetics, but if you happen to see if listed separately, know that they are lead free lipsticks, too. My favorite shade for many years is Allure. Again, I buy mine online at Target and Amazon. Mineral Fusion This brand, in addition to Gabriel Cosmetics, pretty much takes up 98% of my cosmetics bag. Mineral Fusion cosmetics are EWG Verified, which means that the Environmental Working Group has done strict verifications about the ingredients and awarded the brand designation as a safer cosmetic. EWG is the backbone of the Skin Deep Cosmetics database, which is the gold standard to compare cosmetic ingredients for toxicity. I love the colors (Peony is my favorite! ), the availability to purchase in natural health food stores, and the way that the lipsticks last. 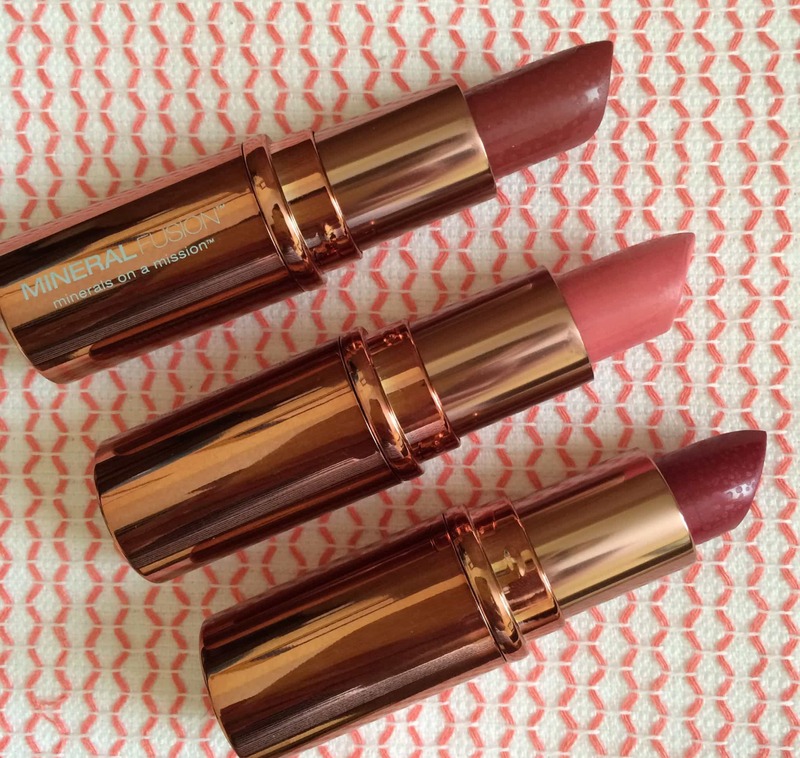 I’ve written a couple of posts about being happy with Mineral Fusion lipsticks and lip pencils. 100% Pure I’m just now starting to try this brand, and I’m really liking what I’ve found – for the most part. There have been some hits and misses, but their fruit-derived colors create a lead-free non-toxic lipstick that’s safe for kissing your little ones goodbye in the morning. I’m allergic to raspberries, and most of their colorings are raspberry derived, so I haven’t given their lipstick a try. Lavera I’ve enjoyed trying this brand. The lipsticks are super creamy and thick. I’m allergic to one of the ingredients, otherwise I might own more of these lipsticks. I haven’t yet put these lipstick brands to the test. But I’d like to! If you love any of these brands, let me know in the comments! **Bonus Brands: After emails with Vapour and Beautycounter, they won’t claim that they are 100% lead-free, but I’m so inspired by the amount of explanation that they gave, as well as how they test their heavy metal content, that I think they’re a viable solution, too. If you want to know more, send them an email and ask them to explain whether their lipsticks contain lead or not. If lead in your lipstick worries you, then you’ll want to be proactive in other areas of your beauty routine and in your home, too. 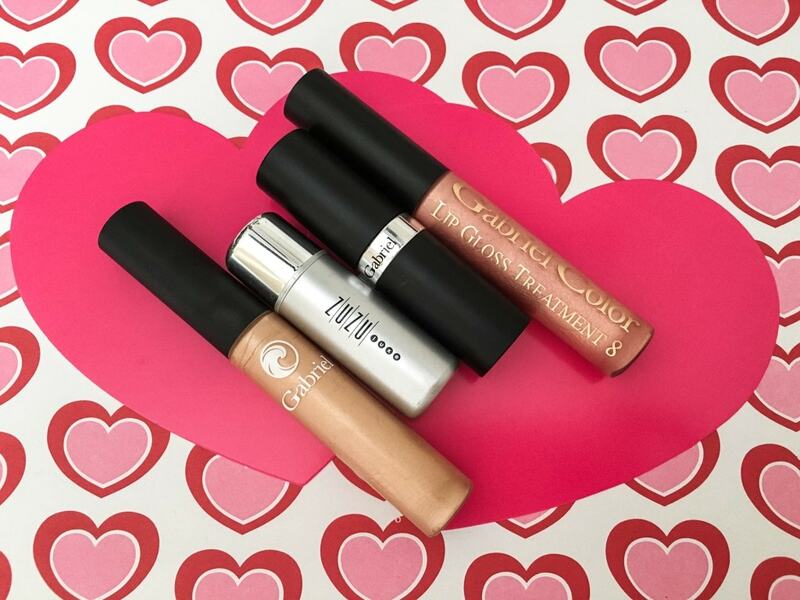 Looking for even more nontoxic cosmetics? Here are some great non-toxic drugstore beauty finds. Just want shiny lips with no color? Check out this DIY Natural Chocolate Mint Lip Balm that you can make yourself at home. Here’s how to get lead out of water that you are drinking (or bathing in) at home. Furniture, walls and even dishes and pots and pans can have lead. Check out my recommendations for easy lead test kits for paint, furniture, metal, etc. Don’t see your favorite lead free lipsticks? Let us know what brand you’d recommend below! Ava Anderson Non Toxic Lipstick and/or lipgloss is my go to! I’m surprised that I’ve never heard of any of these brands! Makes me wonder how much lead is in the makeup I currently use. I know! Some of the brands I’ve never heard of either! A wonderful way to look up how safe (or unsafe) your makeup might be is to search the brand on EWG at http://www.ewg.org/skindeep/ Super easy and really puts your mind at ease – or encourages you to go shopping! I believe Mary Kay brand was lead free before the other major brands. Lead is found more often in the red color family and it helps keep the product from going rancid. It’s too bad that Mary Kay products are so expensive because they are one of the best products out there. Is this in list form somewhere? Great info, just would like to have a list for reference when I shop. Thanks, Laura! I’ll add the link as a resource!